A job is a necessary and important part of our life and we all want to ensure that our career takes the right path so we can make advancements and develop our career – work to live, not live to work. It is therefore important that to get the right job we do our homework – our research and get this right the first time. Searching for a job is one of the most important things we can do. Our top tips to finding the right job can help you find the right job for you. Looking for a job takes time and it can be boring and it is something you need to put time and effort into doing. The days of looking through the paper are gone; these days’ people use the internet to search for jobs. This has become a popular way to look for a job and it can be quite helpful. Our top tips to finding a job can point you in the right direction. 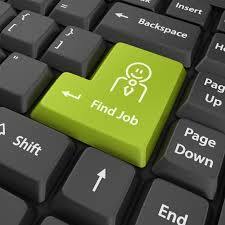 You need to search often and frequently – information changes quickly and jobs are listed 24/7. On the plus side your application can be emailed off minutes after the job is listed. You need to create a great resume. If you can’t write your own look for professional help. While many of the job search engines will offer help to write your resume there may be charges attached. Start at the bottom. Always begin at the bottom, this will help you learn as you go and all this new experience can be added to your resume. Remember if you can increase your experience it will lead to better opportunities in the future. One of the best ways to find out more is to do your research; this is achieved perfectly via the internet. You can find out more about the job or company and by gaining more of an insight during the interview you will have all the answers, rather than be asking all the questions. Consider your job search as a full time job – this will help you concentrate on your goals and what it is you want to achieve. You need to remain disciplined. Increase your *visibility* where possible this is a great way to ensure you get called in for interviews so keep your employment profiles up to date on any employment search engines to make sure you stay on top. Be open to new experiences, try something you haven’t done before and be willing to undertake a course or study to increase your chances of getting that job. Take a job you might be too qualified for just to show you are eager and you WANT to work.